The writing of intimate relationships in literature is a tricky art. In the worst instances of such writing, when the author’s labours seem almost laughable, soppiness and cliché are abundant. 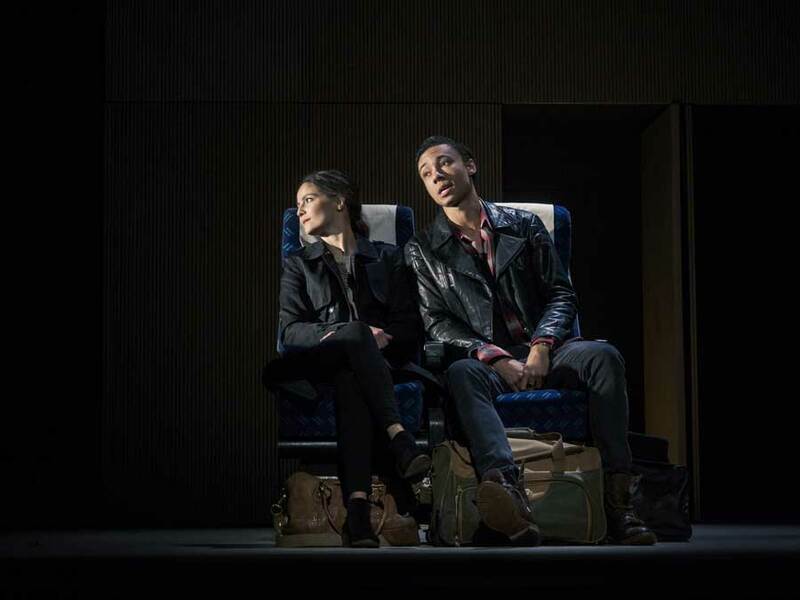 The Real Thing is a play concerned with the heartfelt writing of love and relationships. It follows the life of the playwright Henry (Laurence Fox) in public and private spheres, where his chief worry is often that his writing about romance, which he hopes will pierce his audience with its eloquent sincerity, will instead prove to be a shambolic transformation of his intellect. Henry is very skilled at writing and performing badinage. Sadly, the witty dialogue between him and his wife Charlotte (Rebecca Johnson) thinly disguises a relationship on the rocks. It is soon obvious that Henry’s romantic attentions are elsewhere: he no longer loves Charlotte, but is now infatuated with Max’s wife Annie (Flora Spencer-Longhurst). 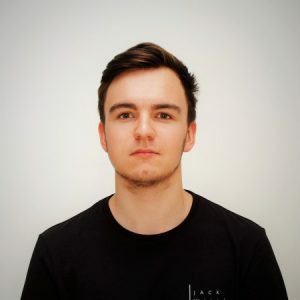 Max (Adam Jackson-Smith) is an actor playing a character of Henry’s creation who discovers his partner is cheating. As life imitates art, Henry’s script House of Cards flops into reality for the cuckolded Max when he finds out about Annie’s liaisons with Henry. The Real Thing is furious game of strategy where lovers steal lovers. The most surprising attitude of a player is Henry’s, since underneath his shell of masculine arrogance there is a forlorn love-struck soul, which is revealed during moments of emotional vulnerability. The play is full of sleuthing: on account of all the deception, which indeed makes those rare moments of truth all the more powerful, the detective work is necessary to illuminate hidden motives. Henry suspects Annie of sleeping with the nubile charmer Billy (Kit Young) as well as the political activist Brodie (Santino Smith). Characters are forced to nose about personal possessions and put two and two together. Henry’s intense need to know what Annie does proves that for all his airy poetic preoccupation, which can sometimes make him seem cold, he is in fact anchored by his heart, which clearly is fixed in its desire for Annie. In a Pinteresque fashion the play features much circularity. The topics of conversation are often repeated, as Henry deliberates over what records to choose for his appearance on Desert Island Discs, and constantly rehashes ideas about love on his typewriter, scrunching up pages and tossing them away; he often appears aloof and pedantic in his endless reiterations of thoughts. 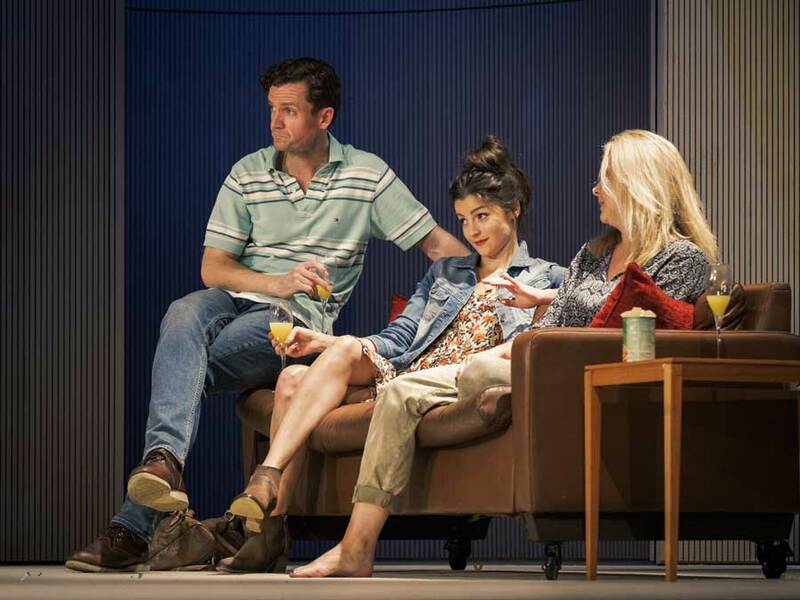 However there are breakthrough moments: The Real Thing is peppered with flashes of clarity, such as the interaction between Henry and his daughter, where a character realises their situation and defines it by themselves, which is striking in the midst of the play’s frequent banal chatter. Only Henry could be the progenitor of Debbie, who is his outspoken and disillusioned 17 year-old daughter. There is a tender moment where they are alone, speaking about what passion feels like: they appear as polar opposites, where he is elegantly decked in chic linen clothes and she’s a rebellious goth, but their speech demonstrates that they have similarly incisive minds. So what does Henry conclude about love? He movingly articulates that it is both to know and be known. Stoppard expertly writes both quotidian exchanges and philosophic contemplations. He succeeds in keeping his writing clunk-free, which as Henry would say is the force of a well-designed cricket bat squarely meeting an idea; The Real Thing is a soaring six. Well said on the play and the intentions of its author on love and relationship. Henry was superbly acted by Laurence Fox and the rest of actors well deserve the equal praise. Six stars for sure. Thanks Michelle. 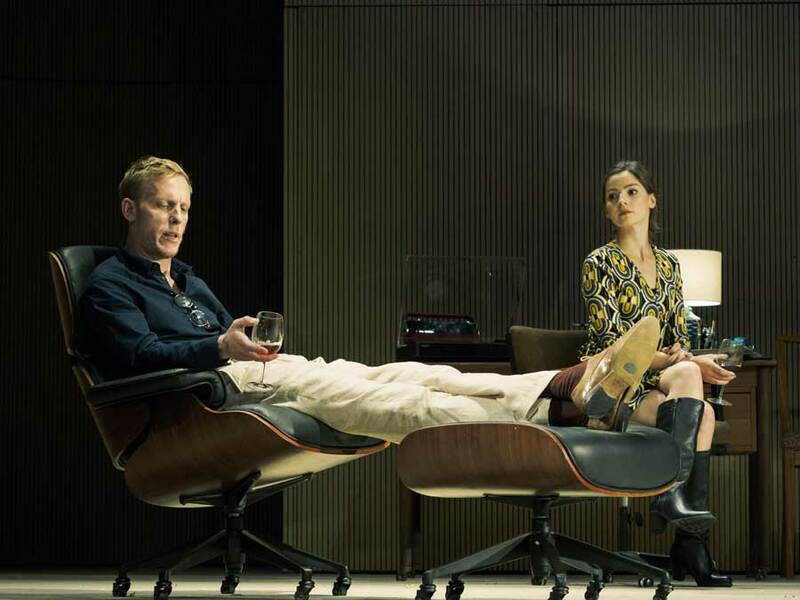 I absolutely loved the play and I thought that Laurence Fox was such a commanding presence!